Often the biggest challenge start-ups face is raising money. How do you raise your first seed round smartly? How do you find the right investor for your business? How do you pitch? What should you focus on before you meet with investors? To get the answers to all these questions, journalist Triin Linamagi sat down with Jenny Tooth OBE at Startup Grind London. CEO of the UK Business Angels Association, Tooth has over 20 years’ experience in supporting small businesses to access investment, both in the UK and internationally. “One thing you do need to remember is that you need to kiss a lot of frogs – you have to talk to a lot of angels. You need to find someone who understands your market or your sector. Ideally, it would be good to have a lead angel – someone who comes inside your business and helps. Behind that you can pull together quite a bit of passive money as well. “You need to make sure you have undertaken due diligence and you understand the capability of the person. For a start, if you haven’t yet been on our website ukbaa.org.uk, then you should. We have a big directory of syndicates and angel groups out there which would be a good starting point. “In reality there is plenty of angel money out there [but] it’s about making sure you’ve got the right money. Don’t just grab anybody’s money, you need smart money. “Make sure you turn up at pitching events as you will have to network. Ensure that the pitching events you go to have real angels there, not just a lot of people in the room. Ask the organisers who will be in the room before you apply. “Don’t be afraid to ask the names of other businesses the investor has invested in. If they are a real investor, they will be proud to talk about their investments and tell you about their portfolio. If you’re talking with a not-so-active angel, they won’t be able to reply to this question properly. “10 or 12 slides is enough for a pitch deck. [You should include information] about your team, your achievements to date, your product/service, your market, your customers, your competition, your growth strategy, financial projections and how much money you are looking for. “[Once you’ve sent your pitch deck] if an angel investor is interested they will [generally] come back with some questions about numbers or market. Be quick to answer the questions and don’t wait. Make sure you have a Dropbox folder or any folder where you have gathered all the information in detail about your market and your business so you can easily find it and share with the investor. Be quick and efficient. Do your preparation before you do your first knocks on the door. “The biggest due diligence we investors do is on you. [We look at] what’s on your Facebook and LinkedIn, we ask for references. The biggest thing we go after is you as we put our money and faith in you to execute the business and look after our money. “What investors don’t like is a lack of transparency. If you have a loan, tell us about it, if you have smashed your credit cards, tell us about this as well. Don’t hide anything when it comes to your financial situation. Do you really have these customers? Do you really have these followers? You need to have evidence to prove this. Honesty is very important. 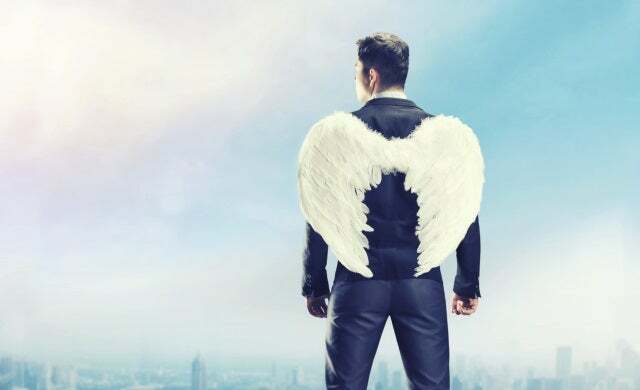 “Angels are not there to rip companies off. There needs to be a balance between the valuation and the amount of equity we are looking for. That’s probably the biggest area of tension between angels and entrepreneurs. You might have a very high valuation for your business compared to what investors would offer. “For some investors, if you’re a start-up with no revenue and nothing yet on the table then they would not value it at more than half a million. [So you need to think about] what’s the value you’ve created so far? Your customers, traction, followers… Once you’ve got more traction, you can put more on the table and so can we. “If all your ducks are in a row it could take six weeks to three months for the deal to go through; it’s normally down to the legal parts. “Get yourself organised first, respond very quickly to investor questions, and make sure you look at legal templates to reduce the cost. You don’t want to be ripped off by a lawyer. It should be a very simple transaction and the speed will depend on the competence of the lawyer. For more information on angel finance, click here.